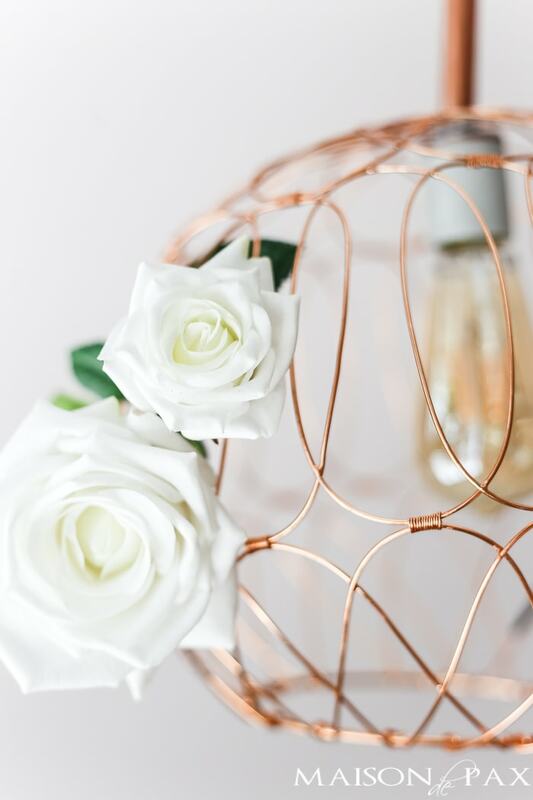 Love a chic, copper pendant look but on a budget? 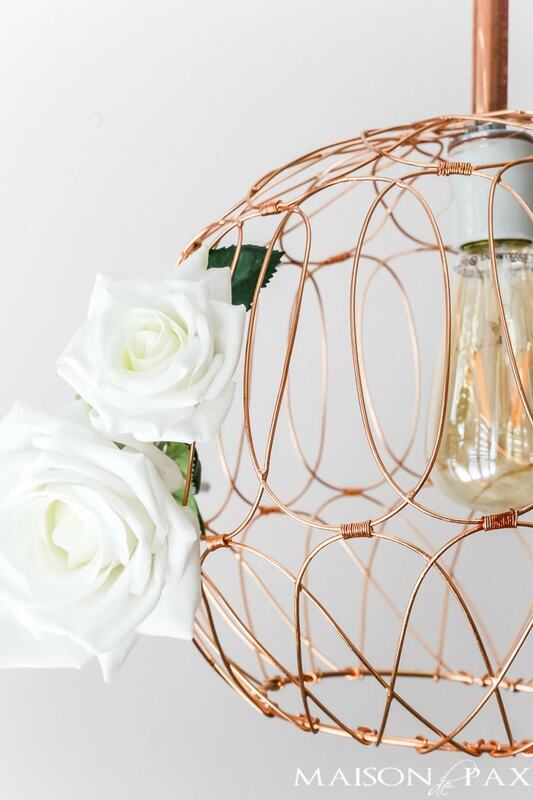 Try this DIY copper pendant from copper pipe and a geometric copper basket. 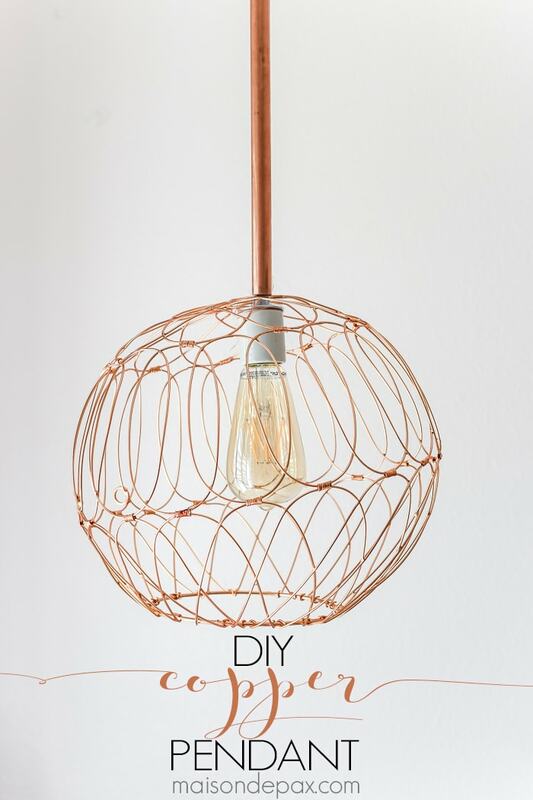 This tutorial will give you a gorgeous, affordable copper light fixture! Remember that season when we wanted to paint all the wood black or espresso? And quite a few years before that there was hunter green and maroon and feather accents. So my question today is: is copper a trend that we will later mock? 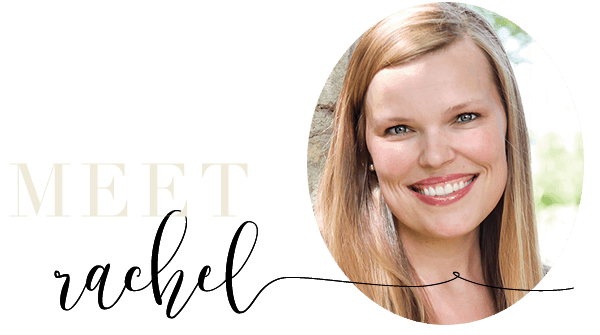 I admit, I’m becoming a little obsessed… I entertain with it all summer long, I displayed it proudly in my new kitchen, I used my favorite super-secret trick to turn almost anything copper (several times 😉 ), and I even made curtain rods for the new nursery using copper piping. I don’t really care. I’m loving it right now! But part of not caring too much is finding affordable ways to incorporate it into my home. 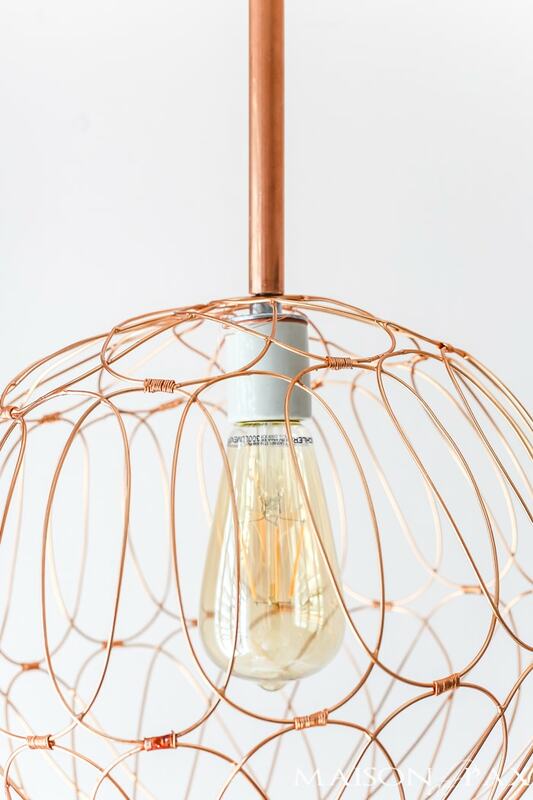 Spending hundreds on designer copper pendants might make me a little wary, but for this space I managed to create the light for less than $30. Disclaimer: I am not a certified electrician, and electricity can be dangerous! Please be sure you feel comfortable with what you’re doing… If not, consult a professional. If you used an extension cord like I did, cut off the female end. Strip ~1/2″ of the plastic cover off the end of the wires. 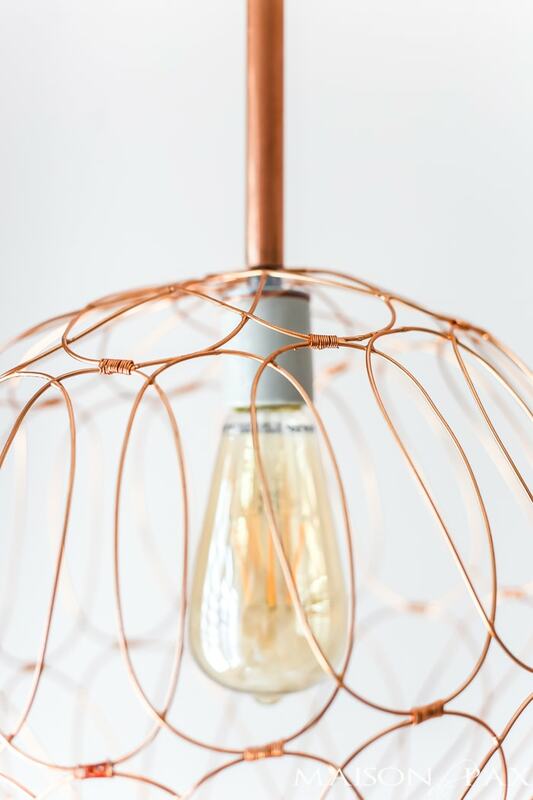 Twist your copper wires together so they don’t fray. Remove the back portion of the porcelain socket. Measure the desired height of your pendant and the distance between that and your ceiling. Cut your copper pipe to fit that distance. 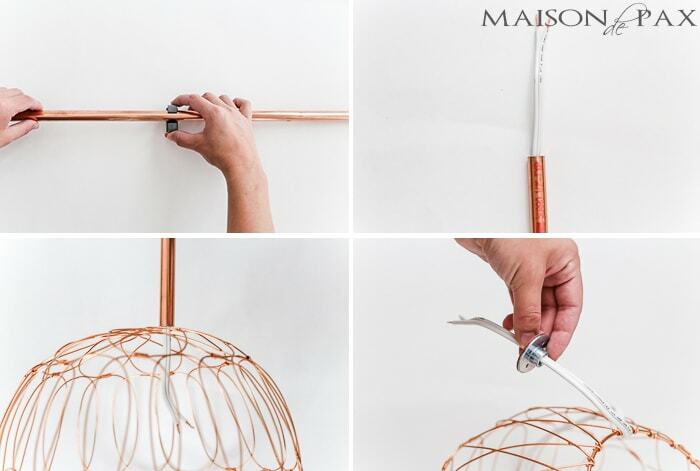 Thread the wire through your length of copper pipe. Thread the wire through whatever hole you want to use on your basket. Thread the wire through the back portion of the porcelain socket. 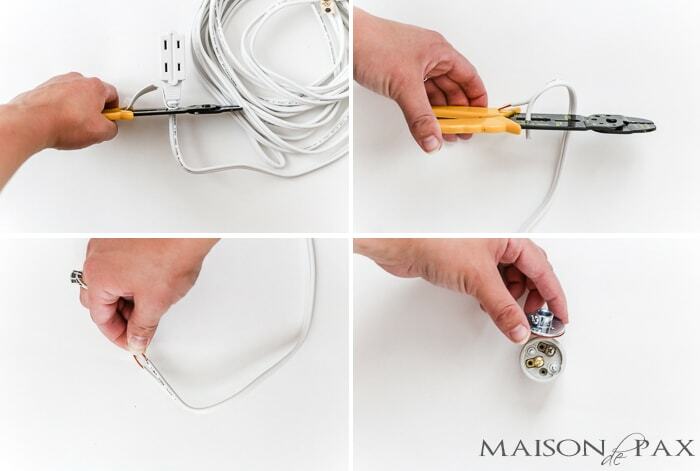 Curl your exposed wire into a hook and hook around the screws on the porcelain socket (note: there are slight variations in these basic sockets, so be sure to follow any instructions that come with the one you are using): hot/smooth wire to brass screw, neutral/ribbed wire to silver screw. Tighten the screws to hold the wires in place. Be sure the exposed portions of your wires are not going to touch each other! This could short out your light. Reattach the back portion of the porcelain socket using the tiny screws inside the socket. And that’s it. Slide it all down where you want it and admire your work. You still have to hang it, obviously, but that will depend on your room and situation. If you opted for a plug in option, you can simply install some kind of hook to attach the cord to the ceiling and cover the extra cord using something like this. I’ve used this stuff for all my plug-in chandeliers and wall sconces, and I love it! 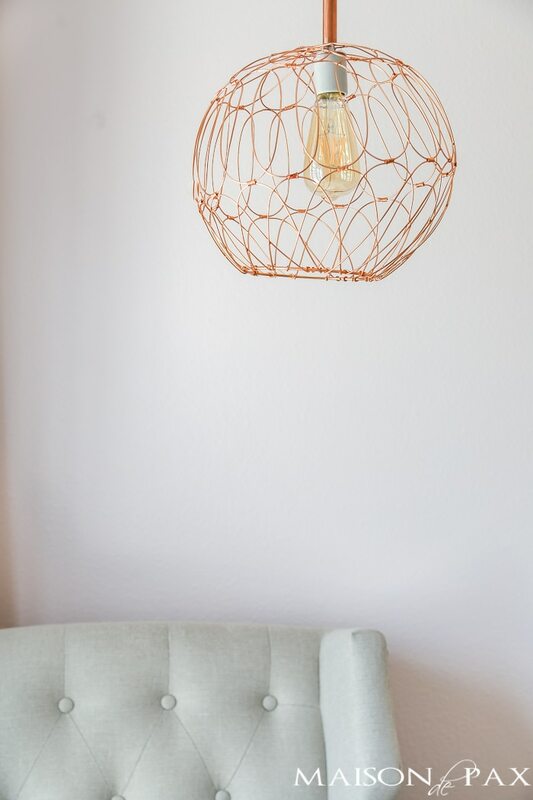 For this project, I wanted the fixture to act as a little dimmer lamp above the rocking chair in my daughter’s nursery, so a plug in was a perfect option since that’s not really a logical place for a hardwired fixture. Like I said, the basket I found is a little quirky since it was originally meant to hang from a chain. I had fun playing with some options for adding accents through the extra little loops it has, though you don’t even notice them if I don’t add anything through them. And by adding a dimmer extension, I can control the light from the rocking chair. I think it’s going to be perfect for our new nursery. How about you? Where would you like a copper pendant? Kitchen table, over a tub, in a reading corner, to replace a lamp in a small space? So many options!